You turn on the internet on your phone, and you realize that your Whatsapp is not working. Many of us try to troubleshoot to identify the problem and try to solve it ourselves. Despite trying all basic troubleshooting to make it work, we still end up with Whatsapp not working on our smartphone. How do you address the issue for the non-working app? First of all, you need to identify the problem; then you can work on the solution. We aren’t going to list only solutions, but we will list Problems with Solutions. WhatsApp has revolutionized the way we interact with our loved ones. Dubbed as a “cross-platform instant messaging subscription service,” WhatsApp gained massive popularity among the general public in just a short span of time. All it makes use of internet connection for messaging, voice calls, video calls, location sharing through GPS, file sharing, and among other things. After the acquisition of WhatsApp by Facebook, it has gained more resources to upheave its functionalities. It has already boasted a massive challenge in front of Mobile carriers such as AT&T, Verizon, Vodafone; where all these big shots are worried because WhatsApp is providing those services for free for which these companies charge a hefty amount. Moreover, messaging apps such as WhatsApp have cut their profits by a significant margin. Why doesn’t WhatsApp work sometimes? WhatsApp has been in the market for quite a while now. These apps are developed by professional developers who are also responsible for maintaining the functionalities of these apps. However, these developers are also humans and sometimes make mistakes. Some updates may not deliver what they were intended to offer while being developed and this would have led to bugs and problems. As WhatsApp claims to have a billion active users, the small bug may cause severe repercussion in light of the massive user base of the app. Most of the errors that WhatsApp faces are due to weak Wi-Fi or Data connection. Or the more significant cause could be the failure of the server. There have been a few instances of server outrage, in Early May 2017, server outrage caused non-functioning of WhatsApp in Western Europe and some parts of USA. In such scenarios, nothing much could be done by the users except waiting for re-initiation of the services. 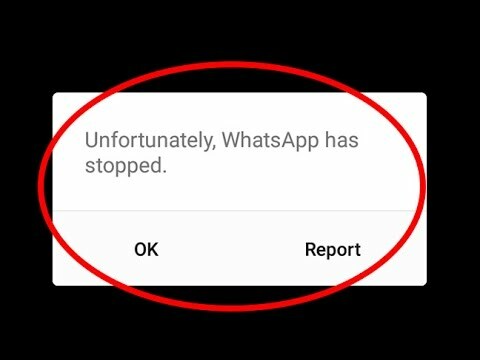 As WhatsApp doesn’t maintain a status page, the user couldn’t be alerted regarding the broken services and ongoing progress. Voice and Video calls are flagship features of WhatsApp which have invited a massive crowd to this IM service. Problems with Video/Voice call are most certainly due to the poor data connection. Moreover, the person on another side also needs to have a working internet connection. The most puzzling and vague problem that user encounter is this one, where WhatsApp display this message. Sometimes WhatsApp displays this notification as it has reasons to believe that you have a new message, but due to the inability of persistent connection, the servers of WhatsApp weren’t able to download further information. A possible reason could be the Data saver mode, and this restricts data pack usage for apps running in the background. So to not go through the same problem again, you would need to turn the data saver off. The notification feature of the app provides convenience, as the user wouldn’t have to go all the way into the app to check the recent messages. However, sometimes your phone might be failing to show the notifications. In such case, Go to Settings >> Apps & Notifications >> Apps info >> WhatsApp and turn on Allow notification option. 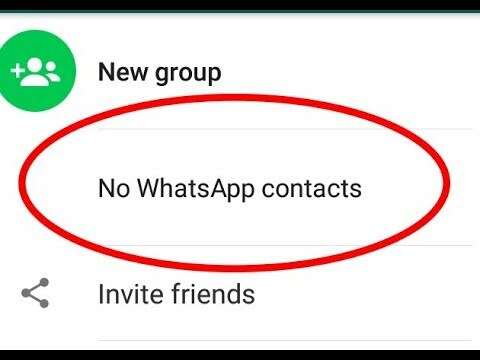 There are times when WhatsApp doesn’t show some specific contacts or whole contact list. In such cases, you would have to allow WhatsApp the permission to access your contacts. 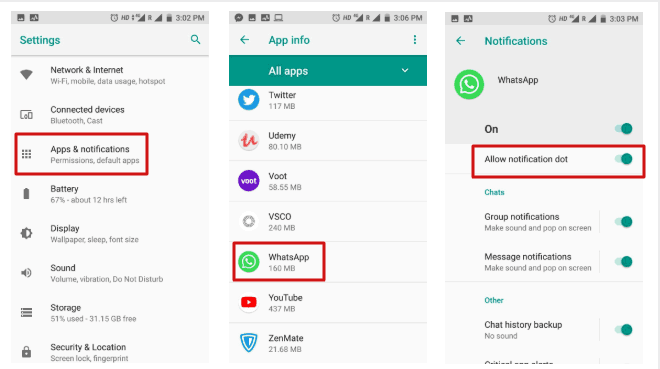 The same could be done by going to Settings >> Apps & notifications >> App permission >> Contacts and toggle on the permission button to get WhatsApp to access your contacts. If yet your contacts aren’t showing, what you can do is just head over to your WhatsApp and refresh your contacts. Hopefully, doing this will get you all the contacts. This is the error which gets on the nerves of peoples. You might be engaged in some important conversation or engaged in a Voice/Video call with a dear relative, but this error ends up all what is going on. An effective method of dealing with this error is by clearing the Cache of the App. 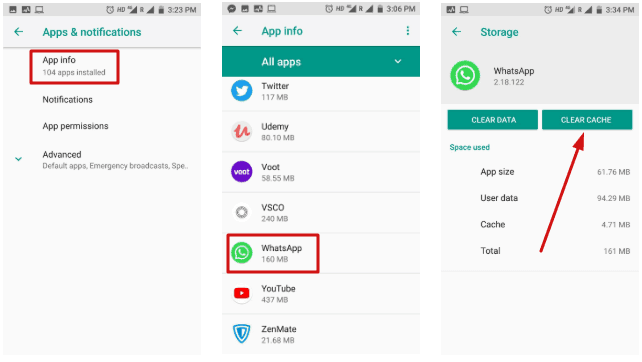 You could clear the Cache by going to your Phone’s settings, then navigate to the Apps & notification option, here you would have to find out the Apps info << WhatsApp << Storage and then you’ll find ‘Clear Cache’ and ‘Clear Data,’ option. Click on Clear Cache option and restart the phone. You’ll most probably not witness the problem again. However, if the problem persists, consider Uninstalling and Reinstalling the App again. Less number of users at present faces this problem. However, it still needs to be addressed. WhatsApp dropped the support for BlackBerry OS, Windows Phone 8.0, and others with effect from 31 st December 2017. WhatsApp had earlier notified about the same. It means that the company would not further provide the services for these platforms and some features are bound to stop shortly. This would lead to non-accessibility of new features for the App running on these Operating System and platforms. Further, if the app develops had left any complexities in the form of Bugs, an update would do nothing well. So in a nutshell, if you are not able to use WhatsApp on your phone, it’s highly probable that your OS falls into the above-mentioned list of OS. In a recent notification issued by WhatsApp, it was mentioned that support for Nokia S40 wouldn’t be provided after 31 st December 2018 and the same would happen with Android OS version 2.3 from 1 st Feb 2020. 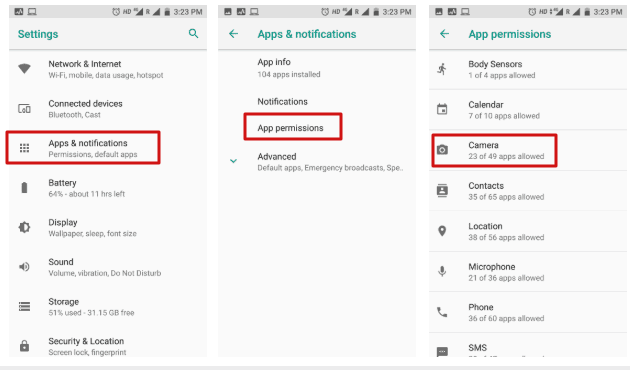 However, if your Android or iOS Phone doesn’t fall into the aforementioned criteria, and even then your phone suffers from an inability to open WhatsApp, then consider adopting the following measures. Check for Network-Related Problem by heading to the Settings >> General Management >> Click on Network Reset Settings and Tap on Reset Button. To free up some space, uninstall some apps or clear some data to ensure that WhatsApp functions work without any hiccups. Nowadays in order to ensure smooth functioning of WhatsApp, one needs to update both the OS and the WhatsApp app to the current version. Android regularly provides updates so you must consider upgrading it to the latest version. Also to Update WhatsApp, go to the App store and Update the App to its most recent version. Updating the App would present it from freezing on start-up and numerous other problems that the App might be going through. 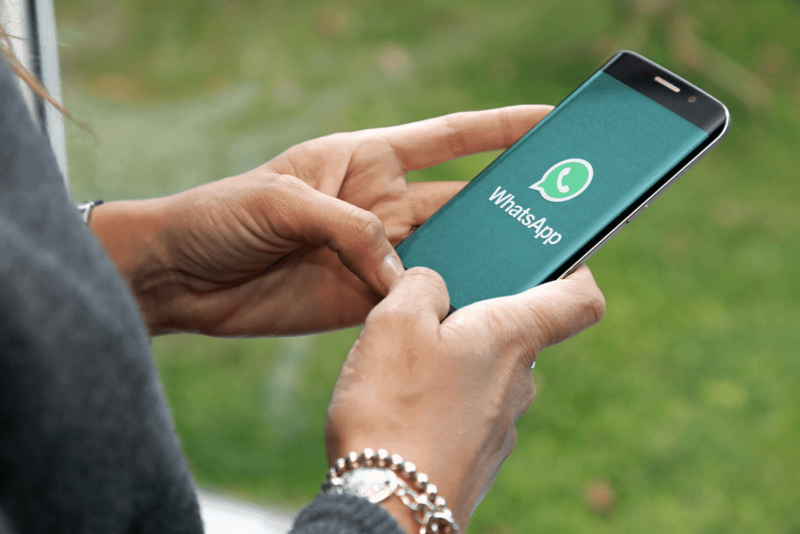 Here in this guide, we have tried our best to point out some of the major WhatsApp Errors that peoples often struggle with and attempted to provide the best solutions for the same. Hope it helped! !